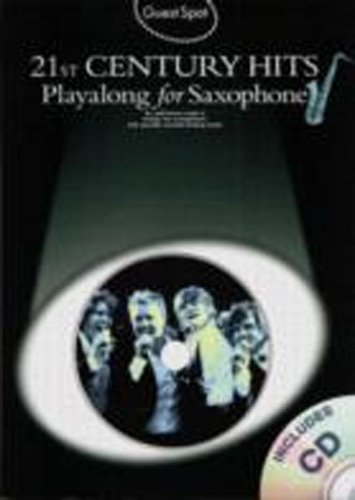 Guest Spot 21st Century Hits - Alto Saxophone - Book & CD. Ten well-known songs in melody line arrangements with a superb backing tracks on the specially recorded CD. Songs: All About You, Beautiful Day, Dont Know Why, Everytime, I Dont Feel Like Dancin, 1973, Other Side Of The World, Patience, Put Your Records On, and You Raise Me Up.